Sunshine yellow gerberas, orange roses, red alstroemeria, purple stock and orange carnations come together to form a welcoming bouquet perfect for any celebration. 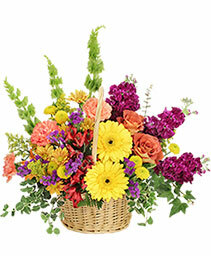 Let them savor the floral flavor, send this basket of flowers today! Now that the celebrations are over you will be the next "Trendsetter" on the street. 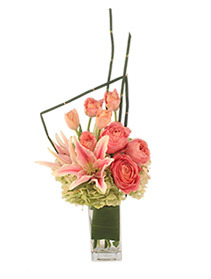 This lovely arrangement will start your new life in the right direction. Are you looking to send your favorite student flowers for graduation? Why not send the class flower, or a dozen roses to show your pride? Giving flowers to honor someone's hard work is a long-standing tradition. KENNESAW FLORIST AND COOKIES can help you choose the perfect arrangement for any deserving student, just give us a call, shop online or stop by our store in Kennesaw.